AUGUSTA, Maine - A doctor who held a marijuana clinic at a hotel and failed to adequately document examinations has been reprimanded by the board that licenses physicians in Maine. 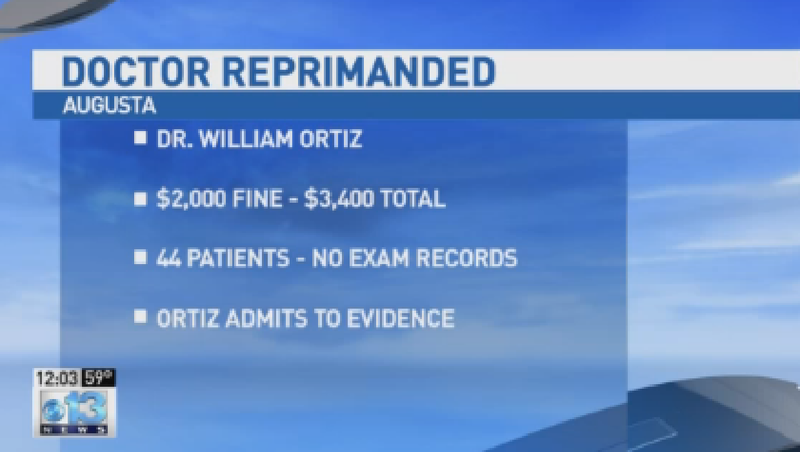 The board announced Monday that Dr. William Ortiz accepted a consent agreement in which he's paying a $2,000 fine and reimbursing the Board of Licensure in Medicine $1,412 for its investigation. The board said Ortiz saw 59 patients during a "medical seminar" at an Orono hotel in March 2013 but that there was no documentation of an exam for 44 of them. It also said he kept odd hours, including 3 a.m. appointments. Ortiz, who has been licensed in Maine since 2012, agreed not to engage in the conduct in the future. Ortiz's practice has offices in Caribou, Maine, and in Holyoke, Mass.